Some other people who have known this truth for a long time are people who are in the animal feed business. When livestock are fed vegetable oils, they put on weight and produce more fatty meat. When they are fed coconut oil, they become leaner. Coconut oil may triple your calorie burn. 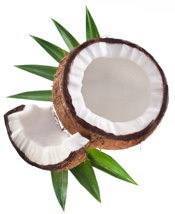 Since coconut oil is a MCT, it is converted to energy so quickly that it creates a lot of heat. In a study published in the American Journal of Clinical Nutrition, MCT’s burn three times more calories for six hours after a meal than LCT’s – long-chain triglycerides. Most cooking oils contain omega 6 fatty acids, something we get way too much of in our diets. Our omega 6 to omega 3 ratio should be 1:1 but it is more like 50:1. We need to drastically cut back our omega 6 oils and consume much more omega 3 oils to be healthy. 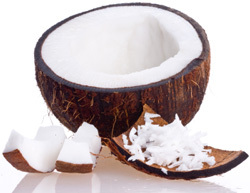 And coconut oil is filled with these healthy omega 3 fatty acids. This is because coconut oil is nature’s richest source of medium-chain triglycerides (MCT’s), which increase metabolic rates and lead to weight loss. MCT’s promote thermogenesis, which increases the body’s metabolism, producing energy. Many people with chronic fatigue syndrome and fibromyalgia have found that adding coconut and coconut oil to their diet was helpful to them. Evidence is mounting that coconut oil has anti-fungal, anti-bacterial and anti-viral effects when both consumed and used topically on the skin. Alzheimer’s disease is the most common cause of dementia worldwide and occurs primarily in elderly individuals. In Alzheimer’s patients, there appears to be a reduced ability to use glucose for energy in certain parts of the brain. Ketone bodies can supply energy for the brain and researchers have speculated that ketones can provide an alternative energy source for these malfunctioning cells and reduce symptoms of Alzheimer’s. In one 2006 study, consumption of medium chain triglycerides lead to an immediate improvement in brain function in patients with milder forms of Alzheimer’s. Other studies support these findings and medium chain triglycerides are being intensively studied as potential therapeutic agents in Alzheimer’s disease. 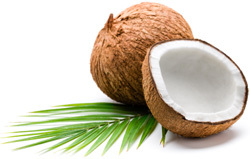 Bottom Line: Studies show that the fatty acids in coconut oil can increase blood levels of ketone bodies, supplying energy for the brain cells of Alzheimer’s patients and relieving symptoms. It has a higher smoke point than olive oil, which means it can take higher temperatures better. There are several healthy omega 3 oils we can choose to consume, such as flax and olive oil, but they don’t do well under the high heat we use for cooking. Coconut oil can be used in higher cooking temperatures.